After finding out that coconut sugar has no coconut flavour at all, Mel was so disappointed that I decided to make this one for her: The real thing with coconut milk. The weather today is ugly, no sun half an hour after sunrise and barely any light that you could speak of. Not perfect for a photo shooting, but perfect for having a warm and comfy latte. This is an ode to friendship which crosses time and space and a big ocean, hold together by the moon and coffee and dark chocolate :) Many other things, too, but coffee and dark chocolate are what is of interest in a coffee shop. 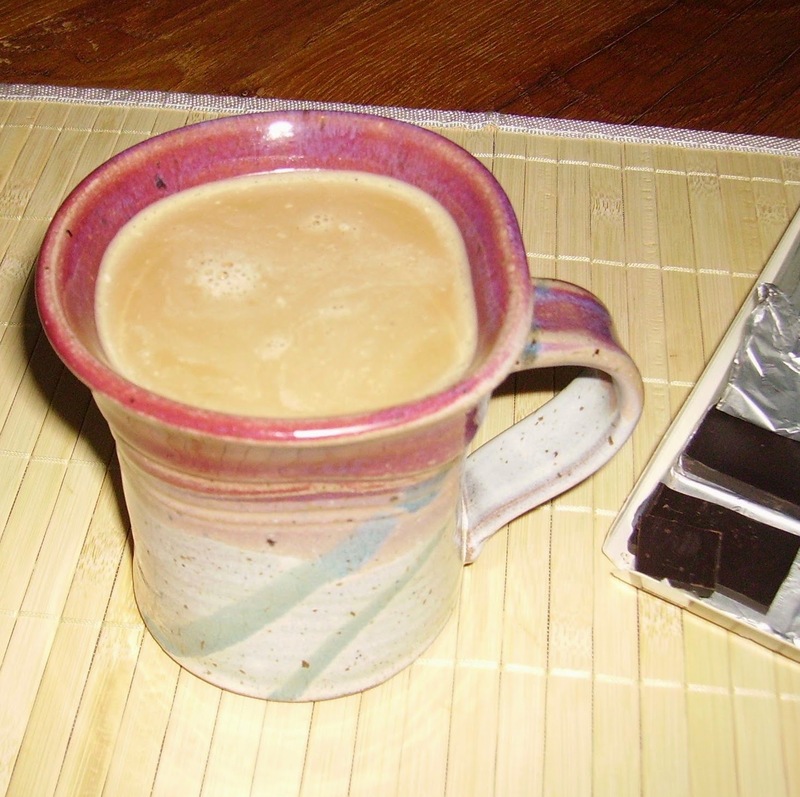 So instead of going for a wet run this morning, I threw coffee, very dark chocolate, coconut sugar and coconut milk into my cauldron and poured the result into the mug from Virginia. Mel and the mug have deserved something better than a coconut latte which doesn't taste of coconut! Sorry for the poor photo - I didn't have coffee before shooting (it was in the mug, couldn't drink it before shooting) and I wasn't quite ready for fumbling around with the light a lot. But now that I have tried the latte, I'm happy: It tastes of coconut, and it tastes good! 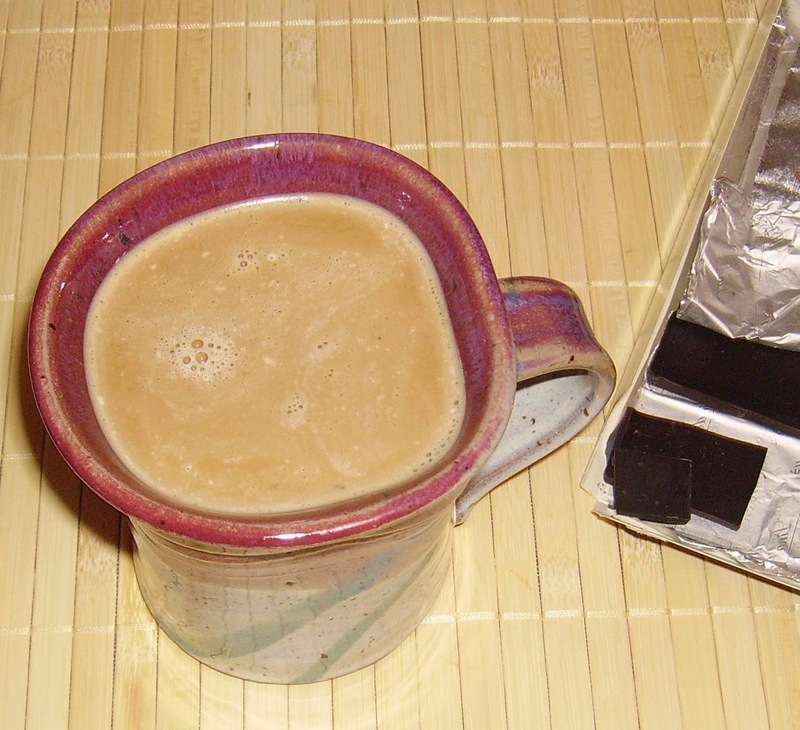 Brew coffee and pour into mug with chocolate and sugar, stir well. Have you ever tried coconut milk in your coffee?